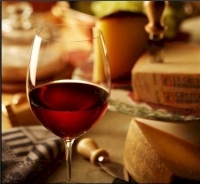 indulge your senses and discover delicious Leelanau Wines splendidly paired with scrumptious small bites! Cellars along with a $50.00 Gift Certificate for shopping, sampling and relaxing in downtown Traverse City. The next morning enjoy a full made to order breakfast delivered to your suite. choose on both Saturday (11 am - 6 pm) and Sunday (12 pm - 5 pm). Tickets include a souvenir wine glass, along with a featured wine and food pairing at each winery. After your featured pairing, most wineries offer an additional complimentary 2 to 3 tastes. Check in and enjoy a bottle of wine from Leelanau Cellars and a sweet and salty sampler. Then head out for dinner at a nearby restaurant- 42 options to select from. The next day enjoy a full made to order breakfast, delivered to your room both mornings. Then enjoy a fun afternoon at Leelanau Studios at the Grand Traverse Regional Campus Festival Lawn. Indulge in local wines, brews and foods while grooving to live musical performances by Soul Patch, Levi Britton and more. Comedy performances include Norm Stulz who has been seen on Comedy Central, HBO, Showtime, NBC, ABC and heard on Bob & Tom Show, Sirius XM and more. Enjoy the Wine Education Room for educational wine tasting seminars to learn about the wines being produced in the Traverse Wine Coast region in a fun and interactive way. As a guest of the property you will also be treated to a complimentary 4:00 pm Taste of Traverse Wine Coast - complimentary tasting and presentation.